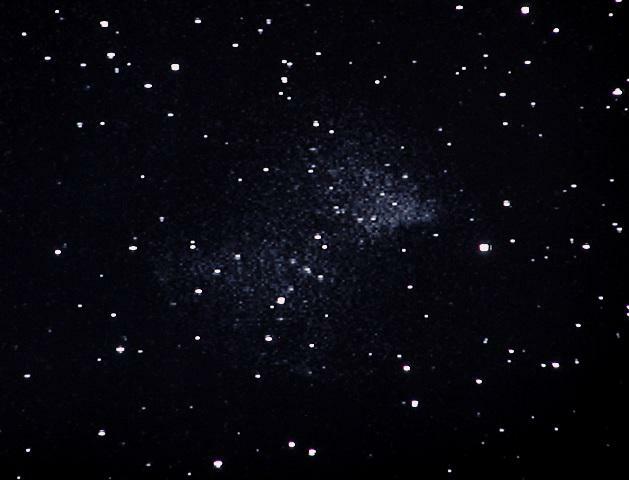 This was my very first image ever, taken on the first night I got the camera. In Toronto on an average night with an Orion Apex 102 (4" mak-cass). 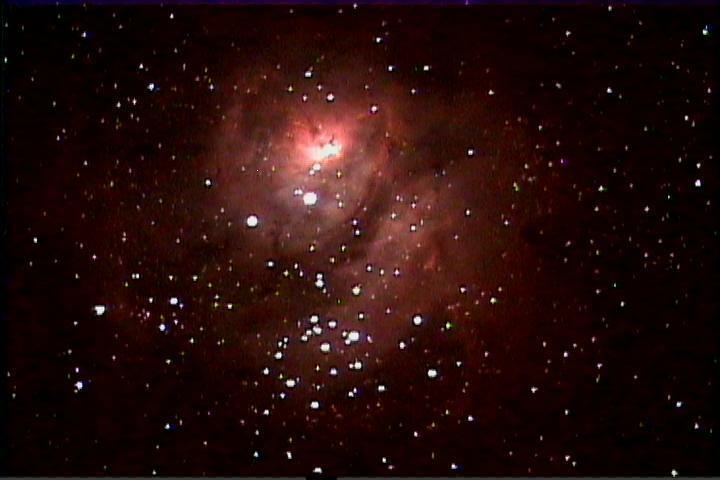 This was 15 x 2sec each. 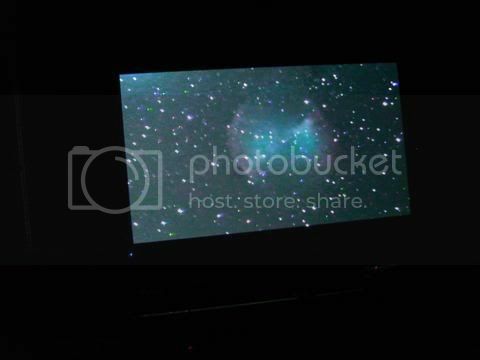 This was not as good as the live view on the monitor looked, a pretty common thing in video astro. I find it takes stacking quite a few images and some light processing to equal the "live" view. I still hadn't figured out the whole stacking and processing thing yet at this point... this image might have been a minute of 2sec images. Maybe one day I'll figure out image processing a bit better and be able to produce a pretty image. Enjoy, and I hope this helps illustrate how things look with various different scope setups. 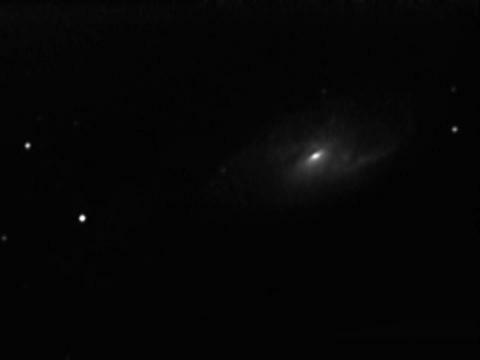 A nice set of images of M82. 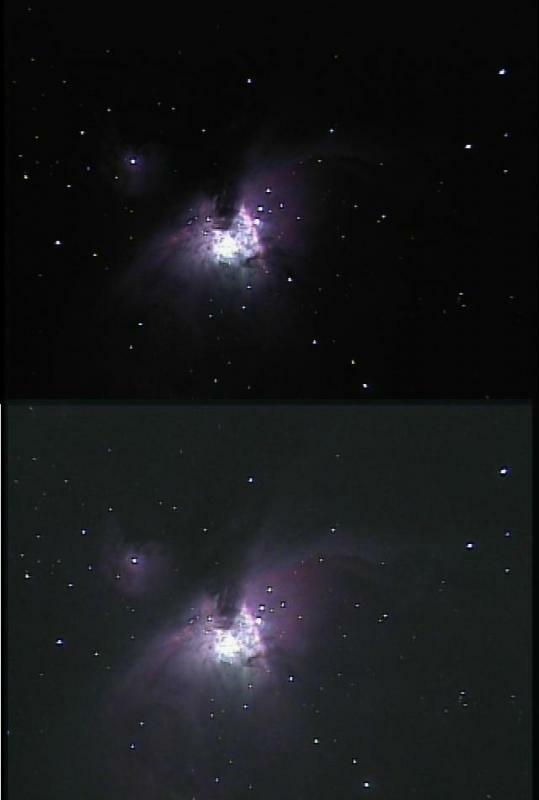 Its very interesting to see what a difference aperture and sky conditions make to the final image. These are really great, I made it a sticky so it stays on top of the forum. But please lets just post images to this thread. 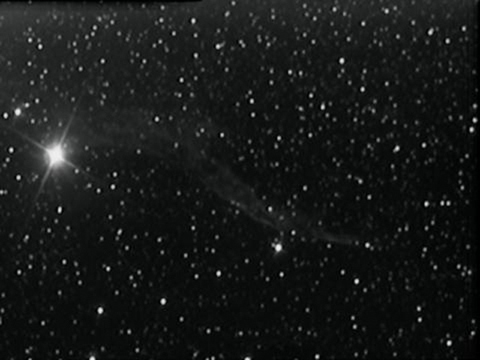 And remember this forum is for Assisted Visual Observing. NOT photo/electronic imaging. There are other forums for that. It your Assisted Observing device does integration of multiple framse that's fine, but images that are captured and post-processed belong in the imaging fora. 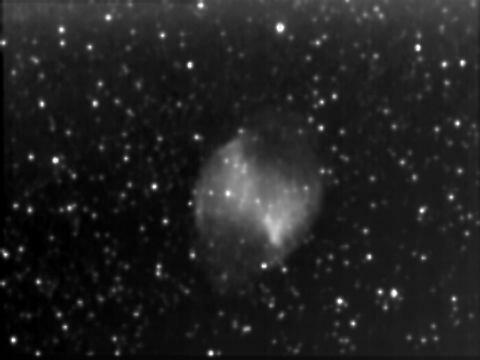 This is the best I can do at my poor viewing location of the Dumbell Nebula. 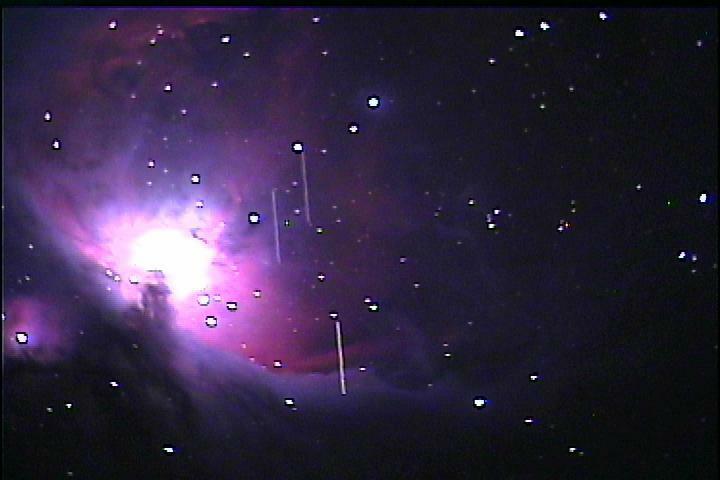 I'm hoping to get a better screen picture at a darker location. 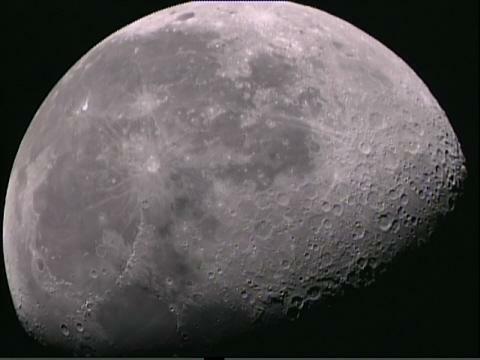 Here is a shot of the Moon 9-2-07 MCHP color TOA 150 single frame no processing. Nice shot! that's a lot of contrast for no processing. 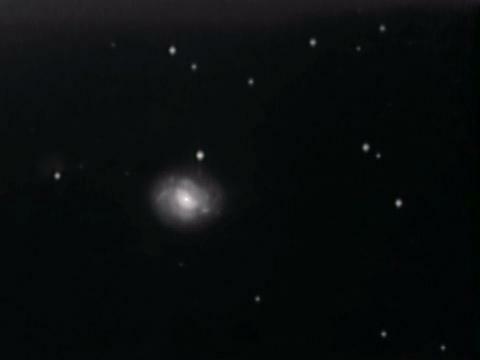 The images was captured using S-video to laptop and video card. I change the gamma setting sometimes, which really helps. Restricting post processing makes sense to me with some limitation. The Mallincam has two outputs, composite and Svideo. I use the composite signal to drive an old TV that is my primary observing screen. I run the svid signal into a laptop which then drives a led monitor. When I get an image that I like on the tv I capture it on the laptop but there are color and brightness adjustments on the camera, the TV, the laptop and the monitor. Often an image that looks great on the TV is either too light or too dark or the color balance is off when its captured. 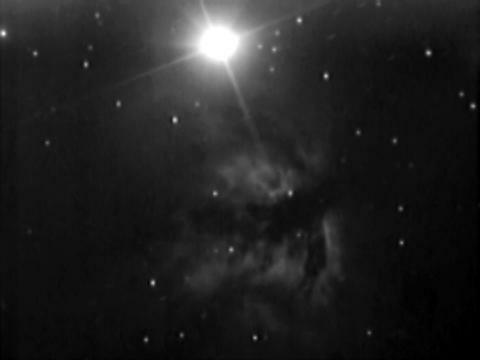 For example, em nebulae may look brown in the raw image despite the fact that the color looked fine on the TV. For demonstrating what the camera can do live it would be reasonable to make simple adjustments like brightness/color balance/contrast before posting an image. In other words, I suggest allowing adjustments that could have been made before the image was collected. 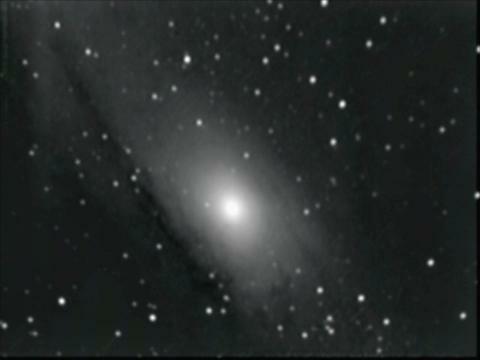 Raw screen shot of a 2.6 second integration. GSTAR-EX Integrating CCD Video Camera. Here is a curiosity from last night. 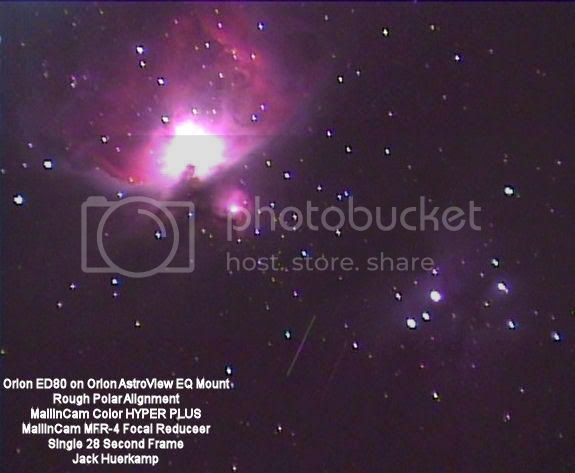 Its a 3 satellite pass through Orion during a 12 second exposure (might have been 6 sec). During the same run I captured another satillite (single) and I saw another pass somewhat to the right visually. For several years I'v been seeing these events this time of year in Orion. Later in the season they become much less frequent. But now you can expect at least one every five or ten minutes. I've never seen one anywhere but in Orion. 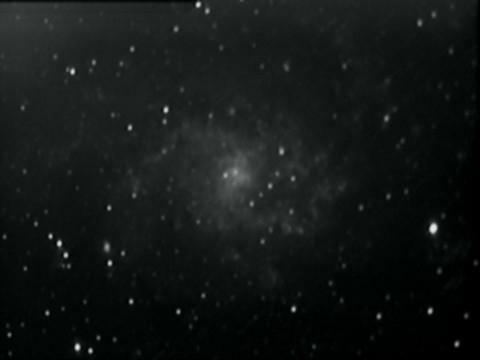 C8, Mallincam HC, .3fr, AverTV cardbus. As usual, the live view was better. The image is totally untouched. 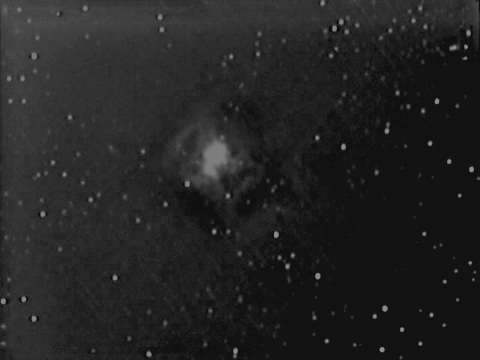 Here is a single, unprocessed 28 second frame of the Orion and Running Man Nebulae taken with an Orion ED80 set on an Orion AstroView EQ mount. 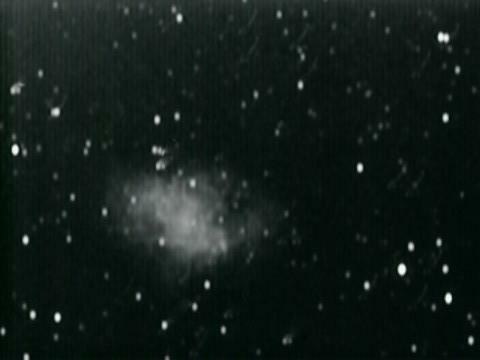 There are 3 of the geosynchronous satellites visible in between the two nebulae. 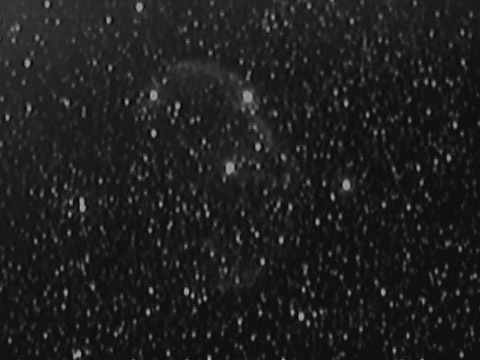 Using a focal reducer I was able to achieve a 1.1 degree field of view. Here is a digital camera shot of my 50" plasma TV in my living room with a single 14 second integration of the Dumbell.